This Self-Cleaning AquaTrainer has it all and then some. 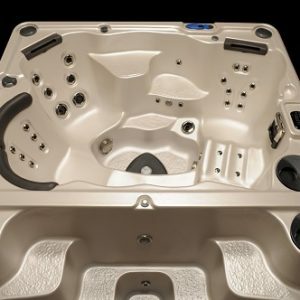 This swim spa has all the exercise features and more, with variable resistant swim current and the hot tub features thigh / abductor jets for lower body massage including full lounger and two full body massage hydrotherapy seats. 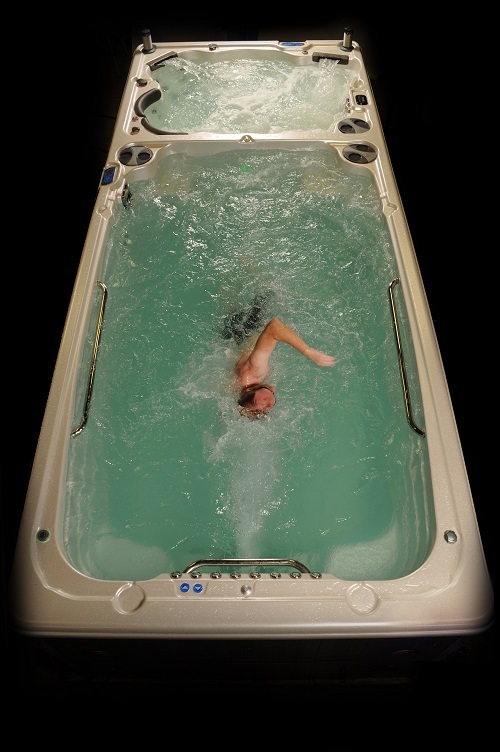 This dual zoned model has separately controlled and operated swim spa and hot tub that delivers the ultimate flexibility, and more power. 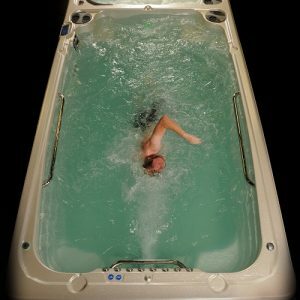 This swim spa is an aquatic all-on-one gym providing a great training center for the individual athlete who still wants to have fun with their family. 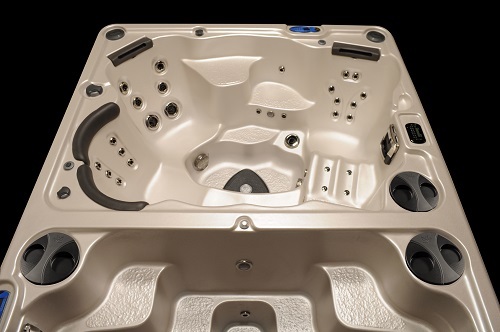 Both swim spa and hot tub feature the exclusive self-cleaning system. You won’t find another swim spa or hot tub like it anywhere.